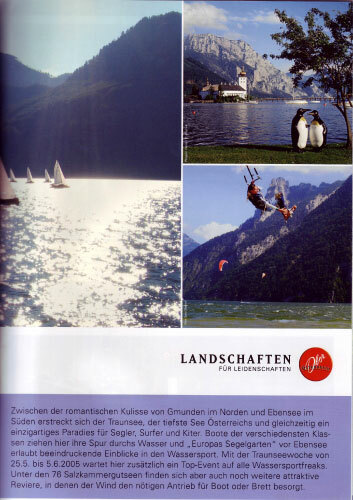 Tourism brochure of the Upper Austrian Tourism Organisation, featuring photos of Kitegabi flying high in front of the spectacular scenery of the ‘Traunsee’ (lake Traun), a poular tourist destination in the ‘Salzkammergut’. 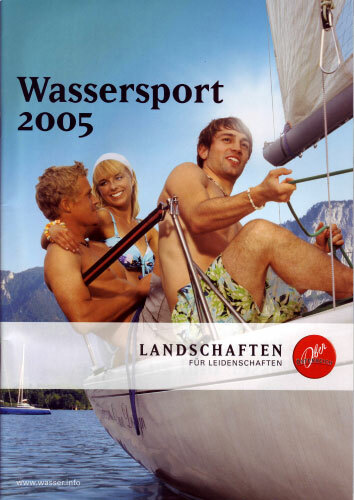 The Traunsee is one of Austrias most beautiful lakes and excellent place for wind-enthusiasts of all fields: sailing, wind- and kitesurfing. 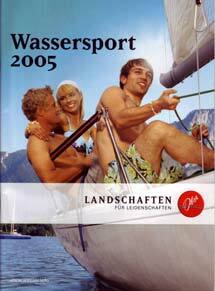 I adore the Traunsee for its breathtaking surrounding. Rindbach in Ebensee at the northerly tip of the lake is the spot to kite- and windsurf. Who wants to enjoy the action by board on the lake, often needs some patience as the Traunsee is not the most wind-reliable place and even if the wind comes up, it’s usually rather light. However, insider tip for the lake on clear days in summer: get an early start and go at dawn, then it’s rather common, to have good 4-5 Bft between the hours of 5 and 9!